Way back when I was a carefree 20-something, I would spout things like, “I’ll never have kids. Can you imagine, me, a mother?” and I would laugh, casually, my friends agreeing with me, heads nodding, probably aghast that I would even think of being a parent. Closer to my 30’s, in a relationship that I knew would be forever, I finally admitted that deep down, I wanted to be someone’s mom. She would be my Mini Me. She would be girly, swirly, cheeky, and she would still climb trees, play in the sandbox, rough and tumble, love wearing jeans, and sneak reading books in her bed, way past her bedtime, just like her Mama. I am a mother now. A mother of two boys. I will never have a girly, swirly Mini Me. I have no regrets of course. When we found out that the second was also a boy, the idea of being a boy mom absolutely sat right with me. It felt right. It feels right. Yes, I will never buy tutus or giant rainbow head bows. I will never have to think about whether my daughter’s skirt is too short, or when it’s appropriate for her to wear makeup. I will never worry about some boy breaking my girl’s heart. I will not have to do the period talk, or show someone how a tampon works. Instead, I will buy endless versions of tees with robots or dinosaurs on them. I will be perpetually reminding people to please aim properly when going to the bathroom. I will worry about my boys breaking some girls’ hearts. I will be urging my husband to have the birds and bees talk with my sons. However, what will remain the same whether my children are boys or girls, is the way I will raise them. The ‘girl way’, if you will (well, you know since I am a girl). We will still talk about our feelings. We will hold hands when we cross the street. We will have dates, just me and them. We will climb trees, and play in sandboxes. We will bake cupcakes and brownies together. We will talk about the difficult things, the hard things, which all of us will encounter at school, in life. We will botch craft projects together. We will go to the beach and build sandcastles together. We will hug a lot, say I love you all the time. We will go digging for worms together. We will look for a pet dog (or dogs) together. We will walk the dog (or dogs) together. We will tell people we love, that we love them, whenever we can. We will be kind to all. We will be gentle to all creatures. We will learn table manners, elbows off, don’t slurp. We will cuddle up together in the mornings, on weekends when no one has to be somewhere. We will do pizza and movie nights together. We will talk about world politics, women’s rights, human rights, together. We will read together, a lot. We will share our opinions on books. We will have conversations about religion, we may even disagree about religion, but we will do it together. So you see, it does not matter. Boys or girls. They are physiologically, emotionally and socially different, but we don’t need to treat them differently. Sons or daughters, boys or girls – the fundamental lessons of kindness, generosity, humanity – they are the same. So I will raise my boys, the girl way. The only way I know how. My boys will be cheeky, climb trees, play in the sandbox, rough and tumble, love wearing jeans, and sneak reading books in their beds, way past their bedtime, just like their Mama. Their girly, swirly Mama. This post was written by Alison Lee exclusively for Bonbon Break Media, LLC. 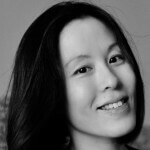 Alison Lee is the co-editor of Multiples Illuminated, a writer, and publisher. A former PR and marketing professional, she is the owner of Little Love Media, specializing in blog book tours. 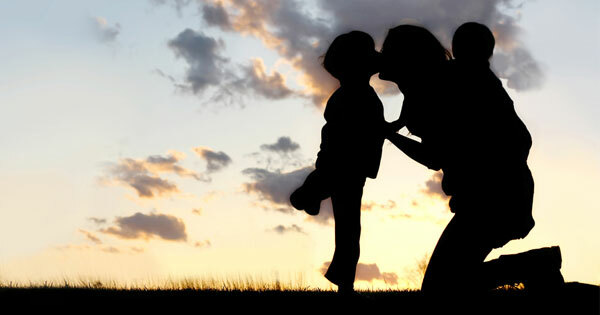 Alison’s writing has been featured in Mamalode, On Parenting at The Washington Post, The Huffington Post, Everyday Family, Scary Mommy, and Club Mid. She is one of 35 essayists in the anthology, My Other Ex: Women’s True Stories of Leaving and Losing Friends (Fall, 2014), and has an essay in another, So Glad They Told Me: Women Get Real About Motherhood (Spring, 2016). She is also an editor at BonBon Break, an online magazine. Alison lives in Malaysia with her husband and four children (two boys and boy/ GIRL twins! ).